As the 2017-18 campaign draws to an end, we’ve been reflecting on our programme covers throughout the season and feel extremely proud to see them develop into such a beautiful collection. 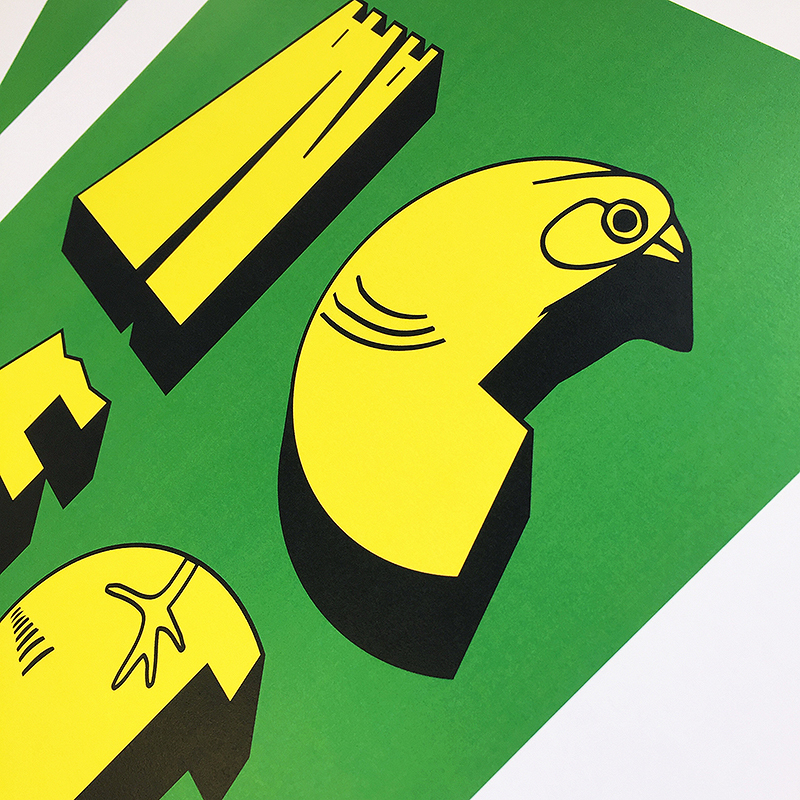 We are currently finalising plans to host an OTBC exhibition, in early May in Norwich, to further showcase each of the pieces and the talented artists behind them. More details about the exhibition will be released soon, so watch this space! Our penultimate cover artwork for the Cardiff City match is by Bilos Mantho, a graffiti artist and illustrator originally from Greece but now based in Norwich. Bilos has explored his interest in conceptual typography and developed a bespoke set of NCFC initials. He’s cleverly incorporated elements from the Club badge into each of the letters, creating a timeless and iconic piece of artwork. "Type fascinates me and it has been the main focus of my work for the past decade. Due to my background in graffiti, I love experimenting and discovering new ways to create letter-forms. For today’s programme cover I focused on the elements of the Club’s badge and tried to implement them in to each letter. I’m a big football fan myself but nowadays I play rather than watch. Seeing all the Norwich fans walking in the city on a matchday really puts a smile on my face. Illustration is my passion and thank you to Patterns of Play who gave me a unique opportunity to combine two things I love for such an exciting project!"